[Satnews] Gilat Satellite Networks Ltd. (NASDAQ, TASE: GILT) announces it intends to highlight its X-Architecture—optimized for High Throughput Satellite (HTS)-based fixed and mobility applications, including consumer broadband, cellular backhaul and IFC solutions—at Satellite 2016, March 8-10 at the Gaylord National Convention Center, National Harbor, Maryland, Booth # 1423...SkyEdge II-c X-Architecture was designed to address both traditional Virtual Network Operator (VNO) models as well as newer models already suited to HTS-based space segment capacity. 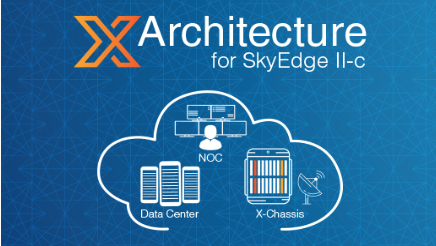 “We enable satellite operators and service providers to maximize the HTS opportunity with our unique X-Architecture. Our recent wins with Gogo and Softbank are testament to the superiority of our architecture to support our customers' needs for highest performance,” stated Dov Baharav, Gilat’s Interim CEO and Chairman of the Board. Hagay Katz, AVP, Head of VSAT Line of Business, will take part in a panel discussion, entitled “From Voice to Dominant Data: Satellite Mobile Backhaul,” in the Annapolis 1-2 conference hall on March 8th at 1:45 pm. Ron Levin, Director Strategic Accounts, will take part in a panel discussion, entitled “China, India and Russia: Civil and Commercial Satellite Applications Connecting the World's Largest Geographic Expanses,” in the Baltimore 1-2 conference hall on March 9th at 9:45 am.